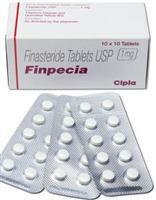 Generic Finpecia is also marketed as : Finasteride, Propecia, Proscar. *Finpecia® is manufactured by Cipla Ltd. Does Finpecia live up to the legend of Propecia and work just as well? Let us take a look at this product to see if it does offer the same type of results.